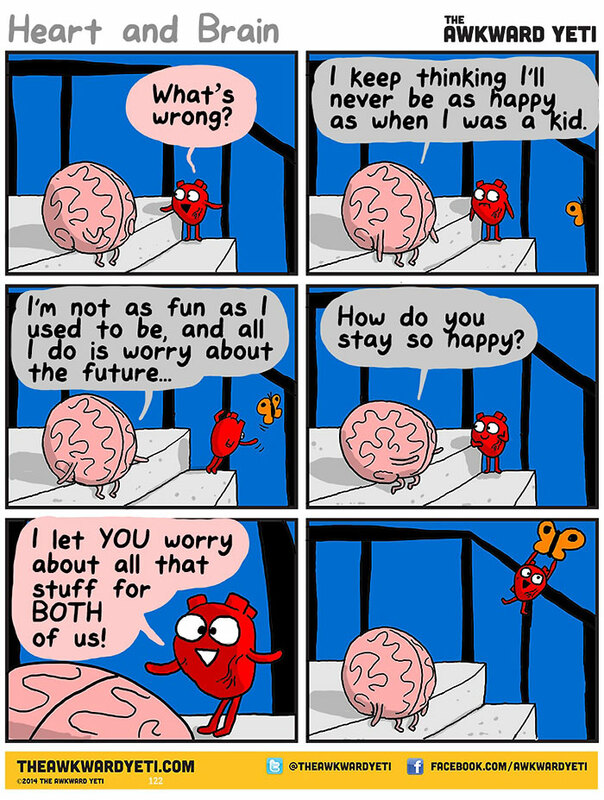 What you want to do doesn’t always align with what your brain says that you need to do. 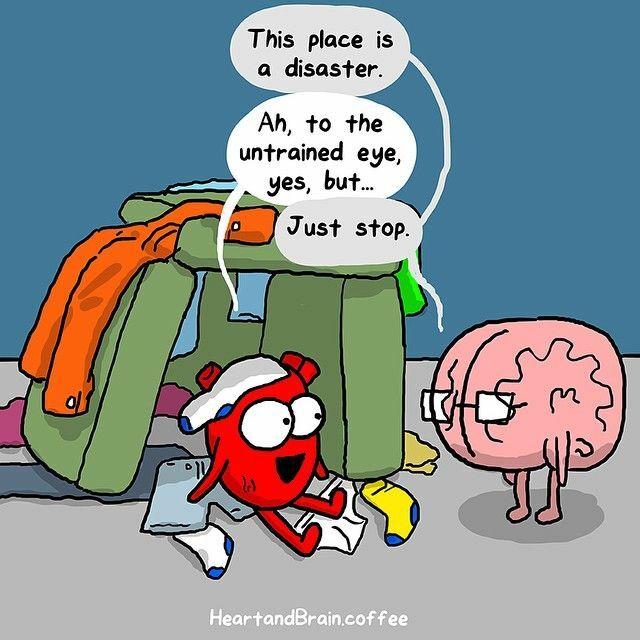 The heart and brain rely on each other for balance but let’s face it sometimes (maybe more often than not) they just can’t agree! 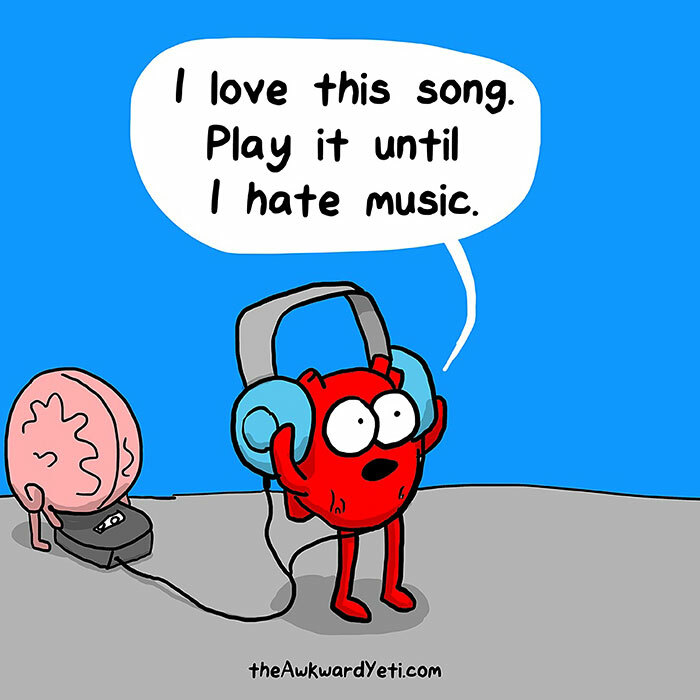 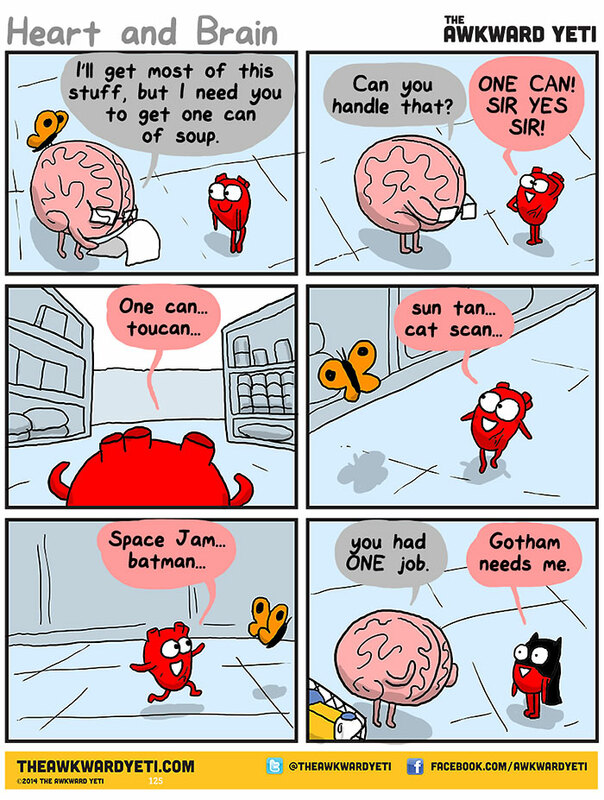 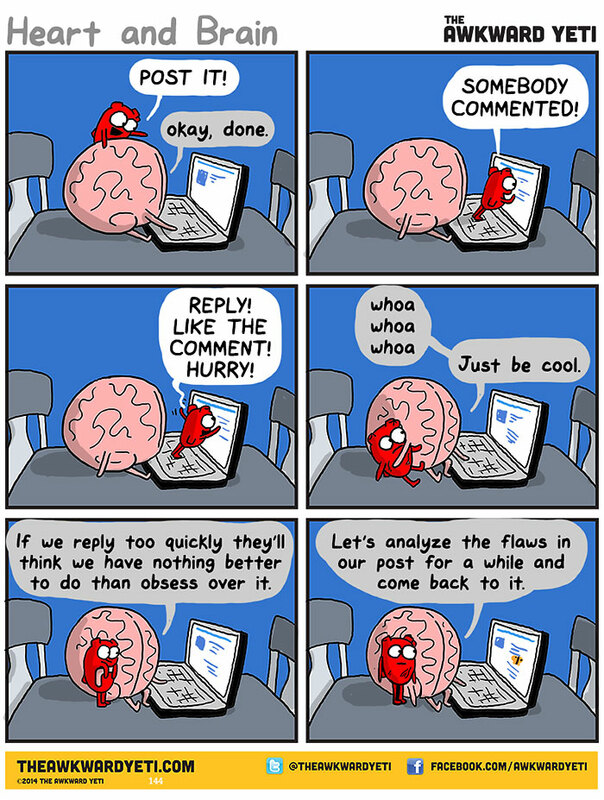 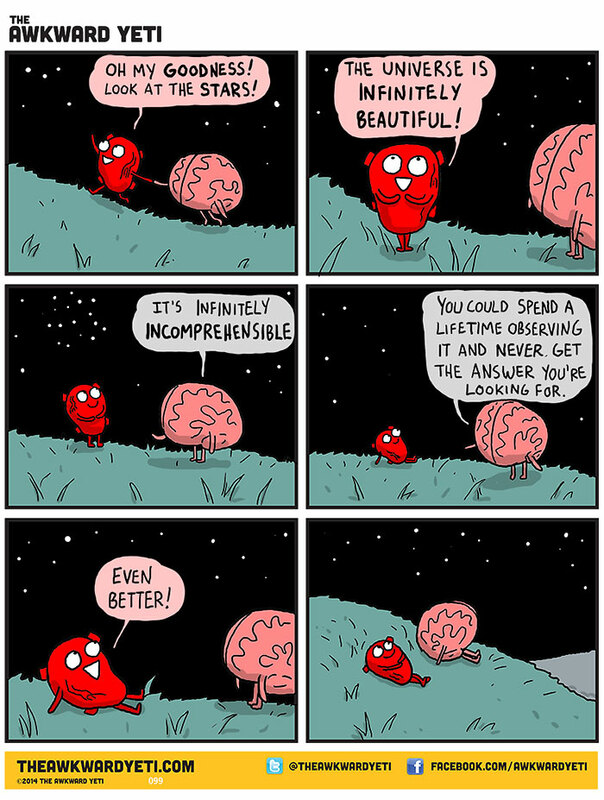 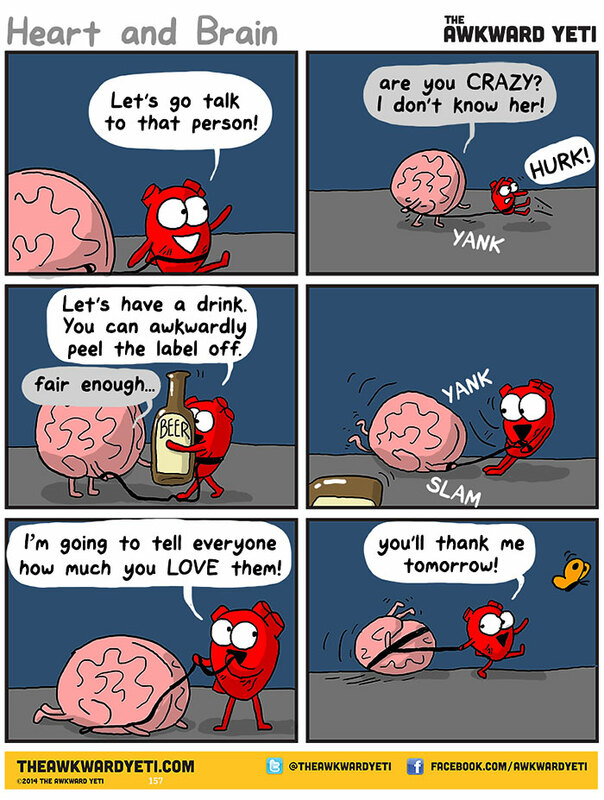 In a series created by artist Nick Seluk or self-entitled “The Awkward Yeti” two adorable characters, heart and brain, get into all sorts of relatable antics. 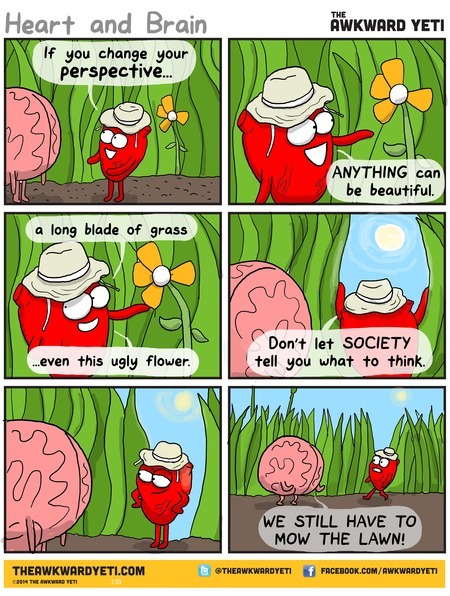 The series follows the inner dialogue between the cynical, society-influenced Brain and the impulsive, optimistic Heart. 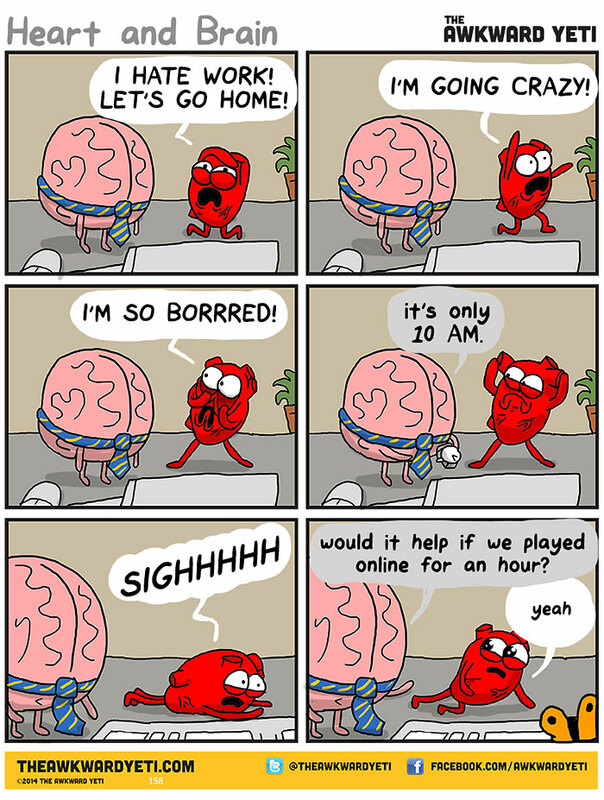 This hilarious comic shows just how real the struggle can be. 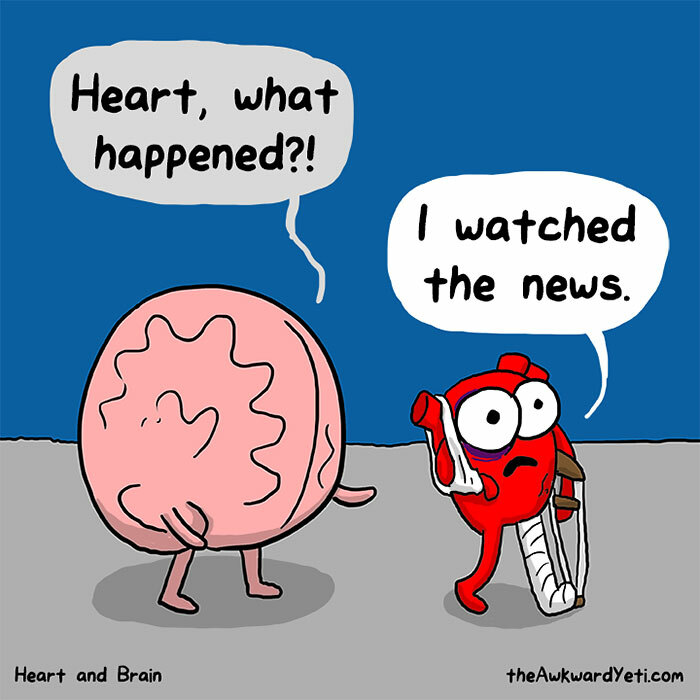 We hope you get a good chuckle out of this, both your heart and mind will thank you!